More comfortable 3D gaming experience with the "Super-stable 3D function"
The super-stable 3D function is able to recognise the users face using the inner camera, automatically the angle even when you move a lot during gameplay. This way you can enjoy the best possible 3D experience. With the new C Stick added on the top left corner of the A, B, X and Y Buttons, you can perform subtle moves by applying small movements. 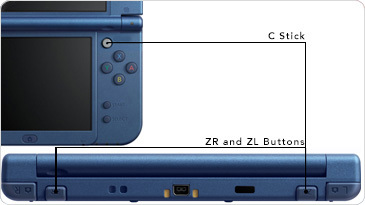 ZR and ZL Buttons have been integrated in the console adding the function brought by the separate Circle Pad Pro into the console so that the extended play style is made possible by various software titles. 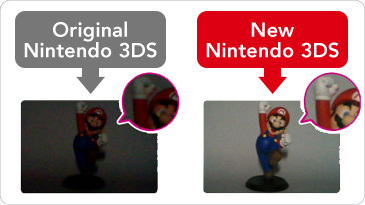 Not only can you play with your amiibo figure in real life, you can play with your amiibo figure in compatible software using the information stored inside the figure using NFC (Near-Field Communication) technology. 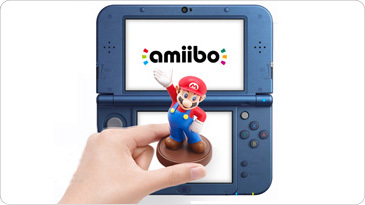 New Nintendo 3DS and New Nintendo 3DS XL have an area on the bottom screen with NFC reading and writing function built in, so you can enjoy playing with amiibo on compatible software. 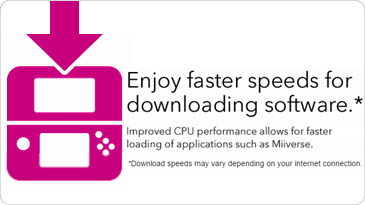 The Internet Browser installed on the console can play movie files. Surfing the internet is made easy by using the ZL/ZR Buttons to switch between the tabs as well as zooming into the page with the C Stick. Please note: some movie files may not be compatible. Customise your Home Menu with various Themes! 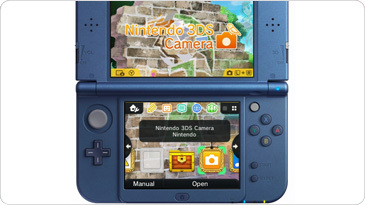 You can customise your Home Menu by purchasing various Themes from the Theme Shop. 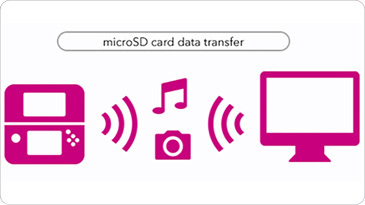 Using Wireless LAN, you can transfer data directly to and from your PC. 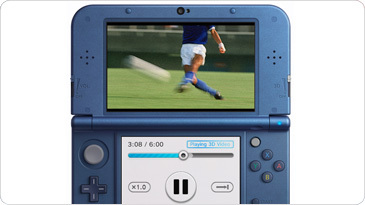 If you have a PC that is connected to the Wireless LAN as the New Nintendo 3DS or New Nintendo 3DS XL, you can transfer your pictures and music without removing the mircoSD card. The brightnesss of the screen is automatically adjusted to your surroundings. 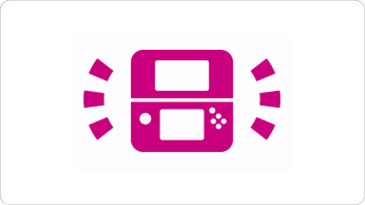 By automatically optimising the most appropiate brightness levle, the battery life extended when compared to the original Nintendo 3DS systems.